Take some gourmet stuffed cherry peppers, chop them up finely, and you have Fathead Peppers’ Gourmet Pepper Spread… well not exactly. Stuffed cherry peppers are usually made with prosciutto or salami, and this jarred spread has no meat in it. 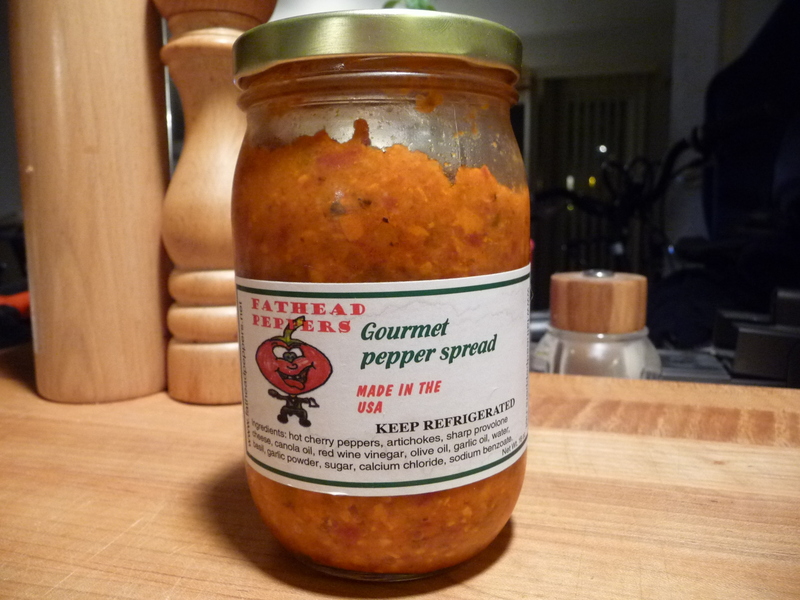 But the flavor is similar – hot cherry peppers, cheeses, oils and spices – it’s all there and then some. With heat! Fathead Peppers Spread comes in a big 16 ounce pint jar.